We’re overflowing…and it’s ONLY November! It’s 11:00 p.m., and I just walked into my house from the Center for Women & Children (CWC). I’m typing in bed, my computer propped up on three pillows, and am sandwiched between a set of sheets with three blankets on top. Its cold outside, and I love snuggling under a pile of blankets. Tonight, however, this takes on extra meaning. If the rest of the night goes as it appears it will, we’ll reach an all-time high for overflow at the CWC. 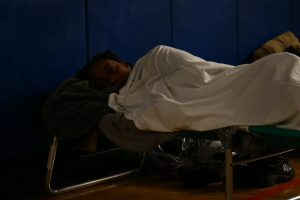 We go into overflow-mode when our beds are full and people – lots of people – have to sleep on mats and cots on our gym floor. That’s crazy to me because it’s only the beginning of November! We usually don’t get close to these kinds of numbers until January, so I’m nervous for what’s to come. 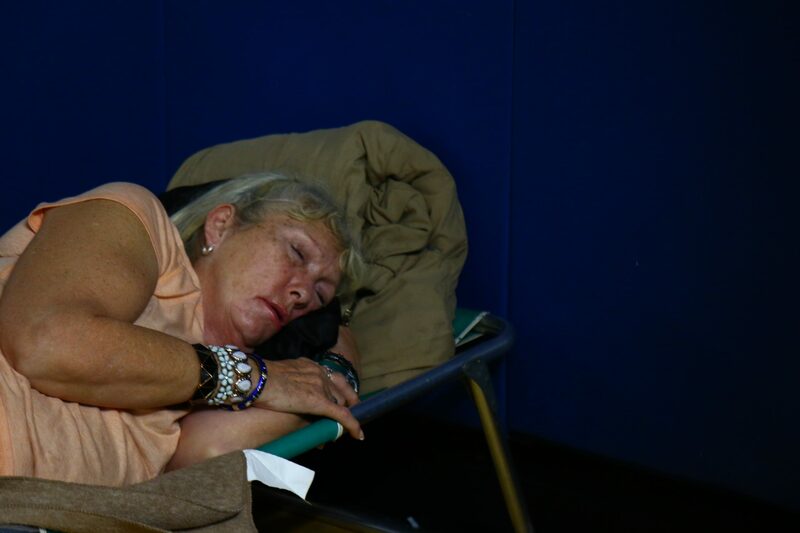 We had so many moms with kids tonight, the staff pitched in to clean out the childcare rooms so families could sleep there and ensure there was enough room in the gym for the rest of the women. 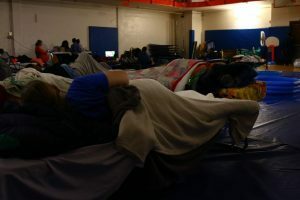 We even had to make a quick run to Walmart to meet the immediate need for blankets and take a side trip to Wheeler’s Shelter for Men to grab some extra mats – which thankfully they had. As I was leaving, I heard that a mom with her five kids would be showing up some time later tonight. Expansion can’t come quickly enough. Last night, we had a news crew come in to talk about our unprecedented numbers. When I told the our guests why they were there and that this would help with the CWC expansion, the women were very gracious about having a camera crew in their sleeping space. They know the need better than any of us. Several women were clamoring to tell their stories…each story is so amazing. At the end, the reporter commented on how supportive the women are of each other. He was surprised by it, and he asked if that was typical. I loved sharing that it’s our normal. I can’t wait for the opportunity to welcome in more women and kids who need to feel loved and cared for. On a side note, my coworker, Shawnna, just texted me about blankets…she is searching online for a good deal because we need so many more! Lisa is holding a late night prayer meeting with a group of guests, and Bethany just got home from a Restored Creations sales event. Please pray for the CWC Leadership. These incredible servants pour themselves out for others all day every day! I am so grateful for them! Thank you for your friendship and care. To support Building for Change, our campaign to expand our Center for Women & Children, please visit Wheeler125.org.